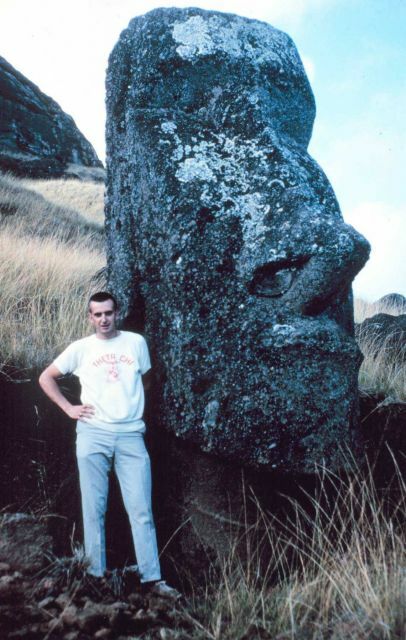 Station Number 020 - Bob Kulton next to a Moia, one of the famous Easter Island statues. Station Easter geographic coordinates 27 10 36 South Latitude. 250 34 23 East Longitude.